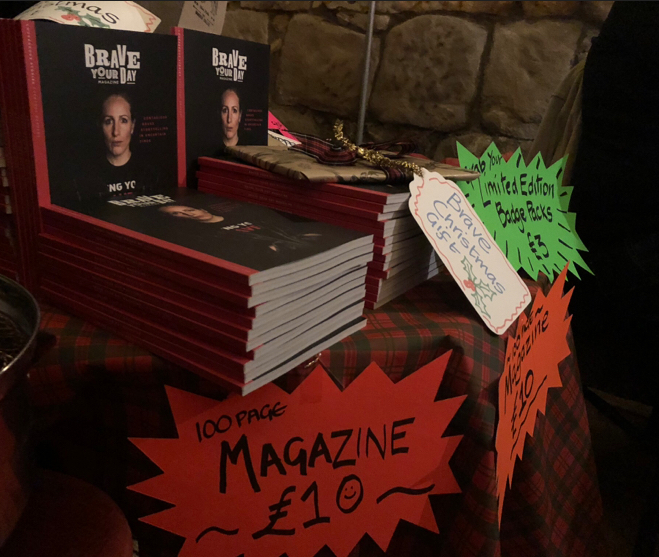 Brave Your Day is an independently-run print publication, spotlighting everyday bravery storytelling in uncertain times from Scotland to New York. People rarely refer to themselves as ‘brave’. It is often an observed quality by others. When we see or hear a story about someone ‘braving their day’, it can help us all to visualise their human fears, guts and subsequent resilience. And just like a contagion, they pass it on. It can encourage us to take more risks to discover and experiment with braving out our own days, our way. 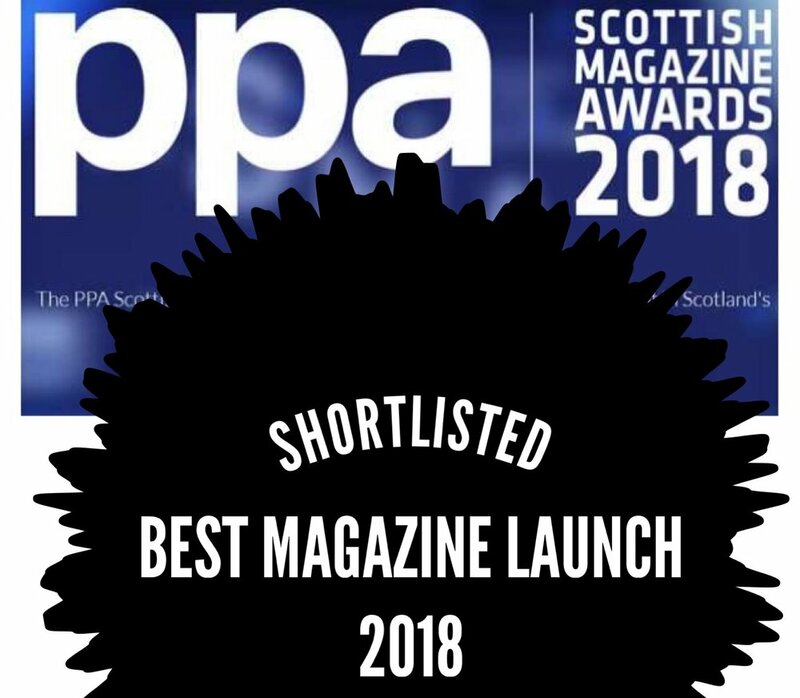 We were so excited to be shortlisted by the Professional Publishers Association, Scottish Magazine Awards 2018 in December. 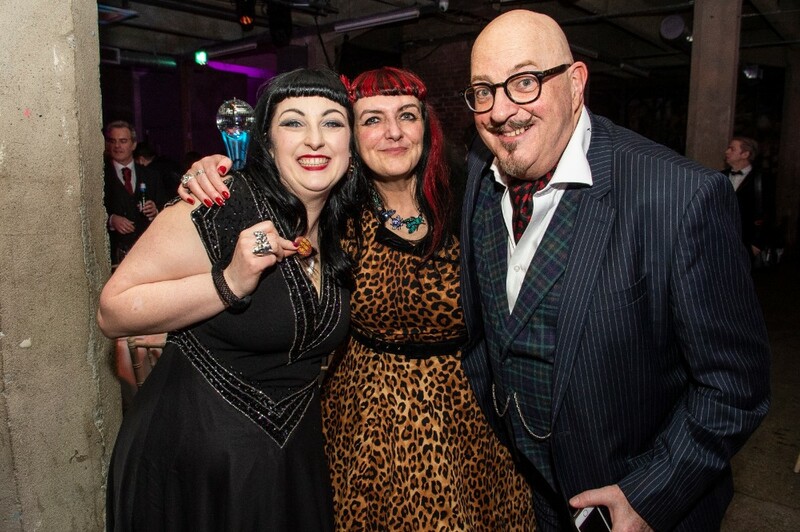 At a glittering award night in Glasgow’s groovy SWG3, we were up against some pretty amazing competition, some of Scotland’s most creative talent. However Colin and I were chuft to be name checked in the same category. 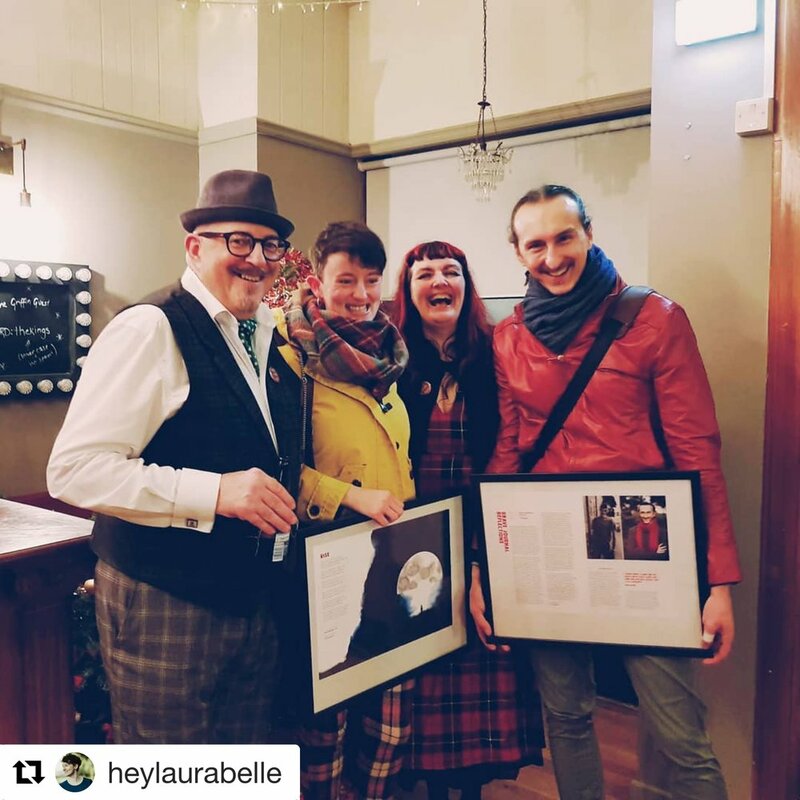 We were also delighted to receive a commendation and certificate to remind us just how brave we have been to risk curating our first mag-book. 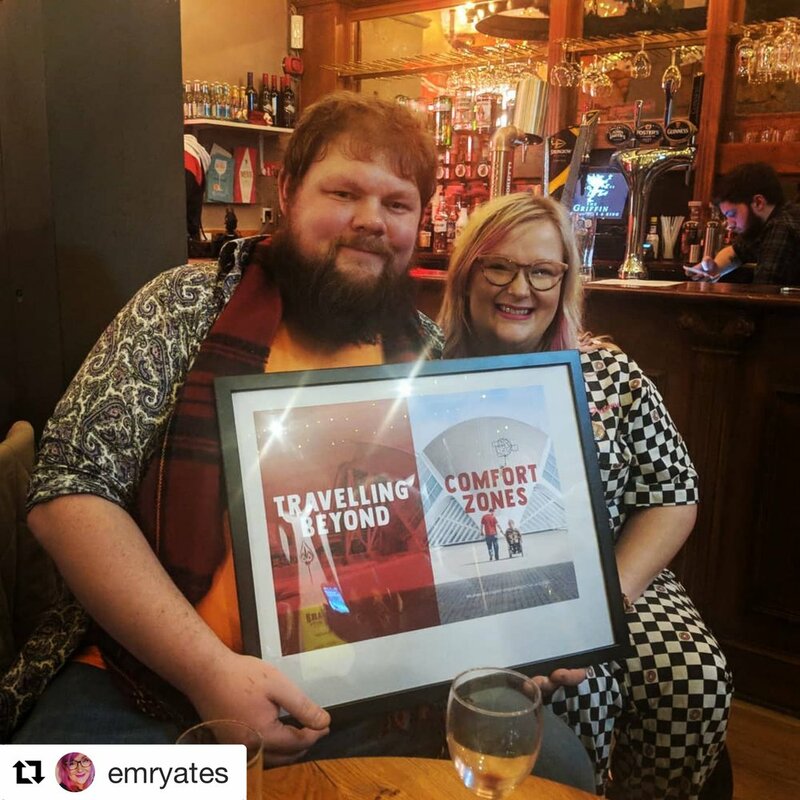 Everyday we get feedback from our readers about what Brave Your Day means to them…we may not have won on the night but we feel like winners when we read these testimonials! 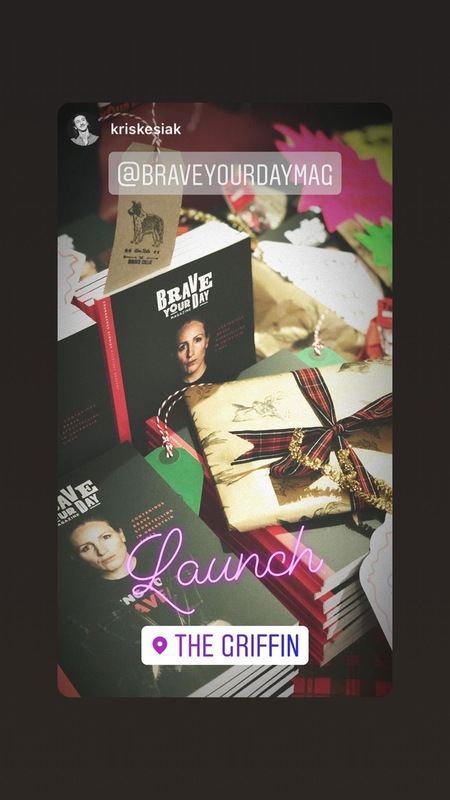 On Wednesday 28 November 2018, a wet and stormy night over 80 people braved the elements to celebrate the launch of Brave Your Day Volume 1. Under a single spot light, we witnessed an eclectic mix of human, everyday, brave storytelling live from our magazine features. 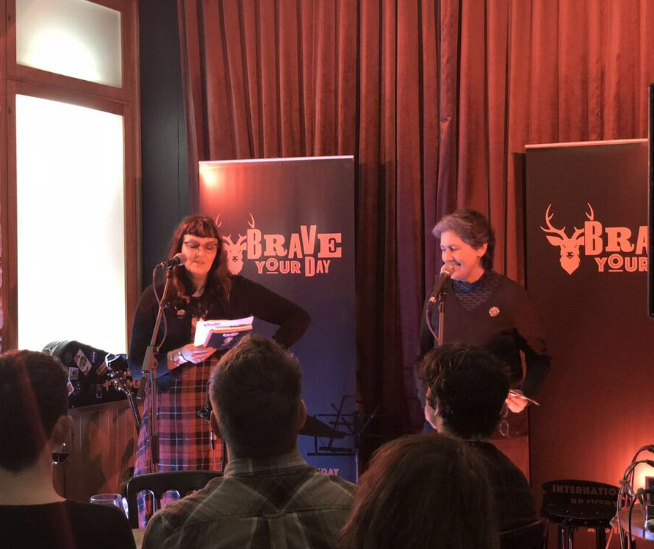 To listen to our Bravery storytellers and musicians from the evening click on our Audible Brave page HERE . 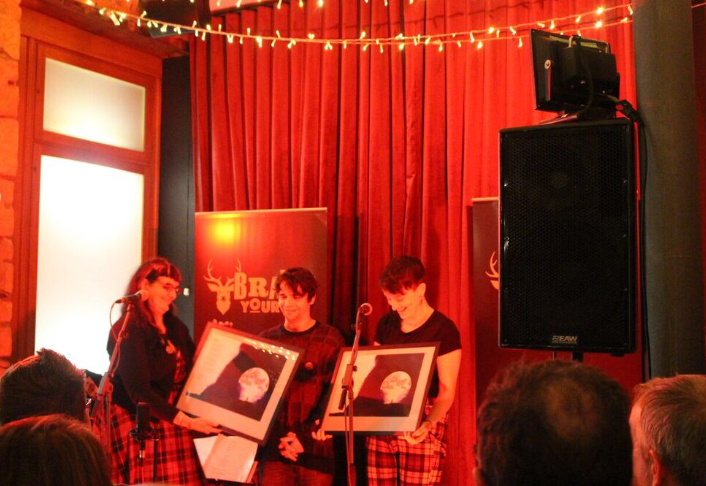 The human emotion of the evening was matched with live haunting melodies from Glaswegian Brave Heart’s, The Carlton 3. From an early morning subway ride on the #1 train downtown to Liberty street, neighbour to World Trade Center Freedom Tower, to take part in a live studio broadcast back to BBC Scotland, Janice Forsyth afternoon show to the Brave Your Day print magazine launch party on World Mental Health Day. 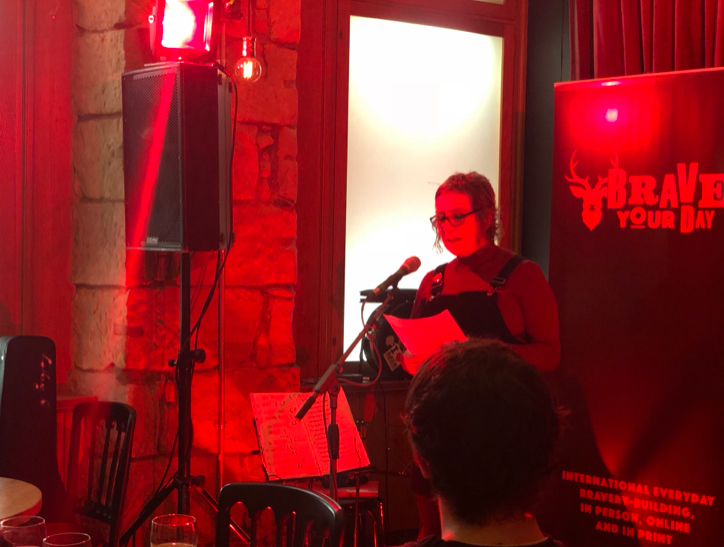 We rejoiced together with bravery storytelling live from inside the pages of the mag with the gutsy New York Sheroe contributors and Scottish tunes, tartan badges (or pins as the New Yorker’s call them) all within the walls of a whitewashed loft studio on West Broadway. We pinched ourselves, surrounded by over 60 people, open and willing to come together to figure out how to keep going despite everyday fears and life uncertainty. We're Charley and Colin Gavigan, we're the leaders behind this new indie print magazine. 'Brave Your Day' is our fast growing social enterprise with global reach. Our focus is on bravery-building programs in person, online and in print. Our observation over the years, is it’s rare for people to describe themselves as 'Brave'. Yet everyday we witness people being brave in all kinds of small ways. We believe acknowledging our individual and collective bravery and courage is needed more than ever in these uncertain times. Our aim for a bravery print magazine is to revive and support ourselves and others with bravery storytelling as a positive contagion . I've transformed my life to live on the other side of fear in the past 11 years. I now push to bring my bravest self everyday, no matter how scary that feels. I have braved out many of my tough life chapters through the power of music. I've played saxophone for over 40 years. 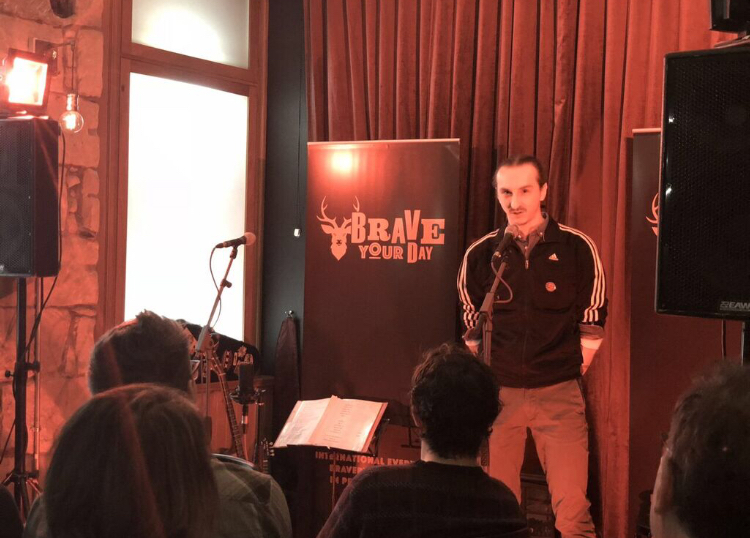 Sign up for Brave Your Day news, inspiration, workshop dates and storytelling events. (C)Brave Your Day Magazine 2018 All rights reserveD.